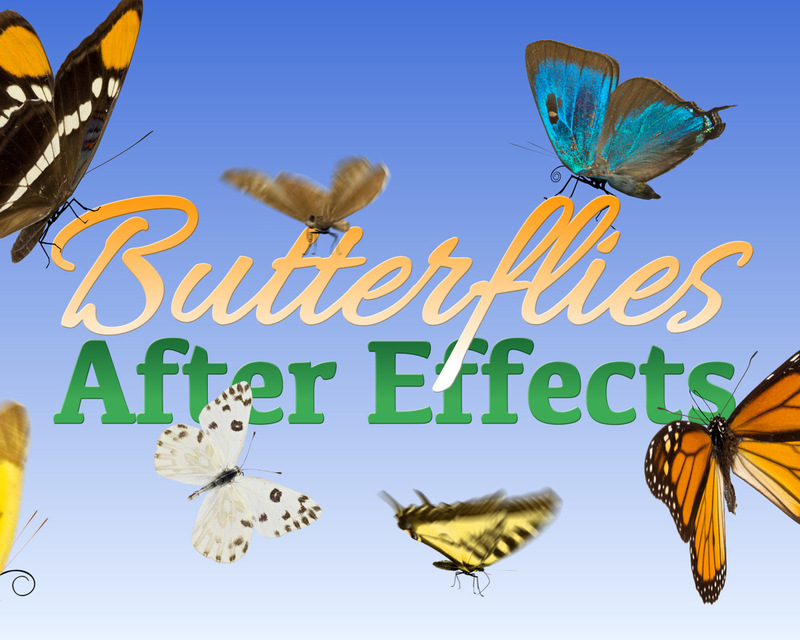 The Butterflies template for After Effects includes seven 3D butterflies that you can animate. Each butterfly is pre-programmed to fly and behave like a real butterfly - all you need to do is tell it where to go! Watch the Demo Video for Butterflies for After Effects. Enhance your motion graphics and animations with this collection of 3D butterflies. Included are seven species with pre-programmed wing flapping. Simply keyframe a butterfly’s position to create a flight path. The butterfly will follow it and land where you tell it. The butterfly will automatically use a combination of flapping, gliding, twists, dips, and climbs to imitate the irregular flight of a real butterfly. Control the flight using convenient slider controls. Easily switch off automatic flight and rotate the wings manually for slow, controlled wing flaps while the butterfly is standing.